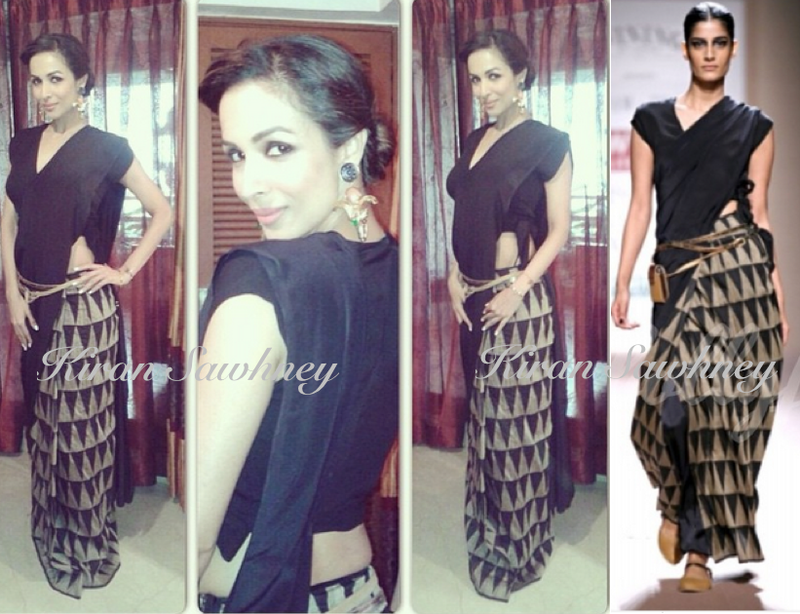 Malaika wore Abraham & Thakore outfit. She teamed it with earrings by Valliyan and bracelets by Minerali. Her choice of shoes were Jimmy Choos. We liked her look. It is quite different from Malaika's usual appearances.